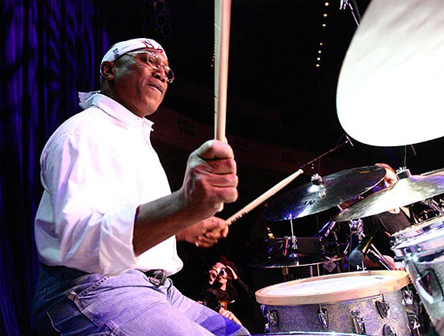 Drummer, composer, producer and bandleader Billy Cobham has played every style of music, from military marches and mainstream jazz to Afro-Cuban and the Grateful Dead. Best known for his jazz-rock innovations through his work with Dreams, the Mahavishnu Orchestra and his own groups, Cobham has spent the past 29 years living in Switzerland, which he values for its peaceful lifestyle and as a convenient jumping off point for world tours. 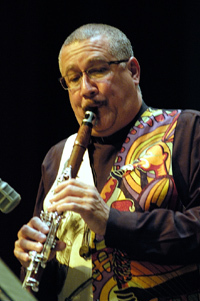 Cobham’s legendarily strong technique is matched by his strong opinions about music, which he was not shy about sharing. “Las Vegas Tango” (from The Individualism of Gil Evans, Verve). Evans, arranger, piano; Johnny Coles, Bernie Glow, trumpets; Jimmy Cleveland, Tony Studd, trombones; Ray Alonge, French horn; Bill Barber, tuba; Garvin Bushell, Eric Dolphy, Bob Tricarico, Steve Lacy, saxophones; Kenny Burrell, guitar; Ron Carter, Paul Chambers, bass; Elvin Jones, drums. Recorded in 1964. John Scofield playing What’s New during sound check for Usadba Jazz Festival (outside of Moscow, Russia) June 4, 2011. Here’s how I spent my summer vacation: 10 days in Moscow, Yaroslavl and St. Petersburg as consultant to help plan a Russian Jazz Research Center. David Goloshchokin, musician, professor and Artistic Director of Jazz Philharmonic Hall, talks about George Wein, Willis Conover, Count Basie, Duke Ellington and jazz during Soviet times. 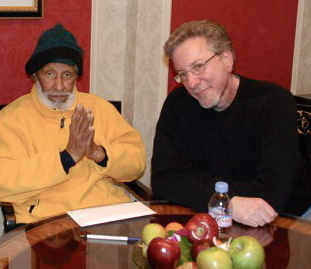 My meeting with David took place this afternoon June 8, 2011 at Jazz Philharmonic Hall in Saint Petersburg, Russia. 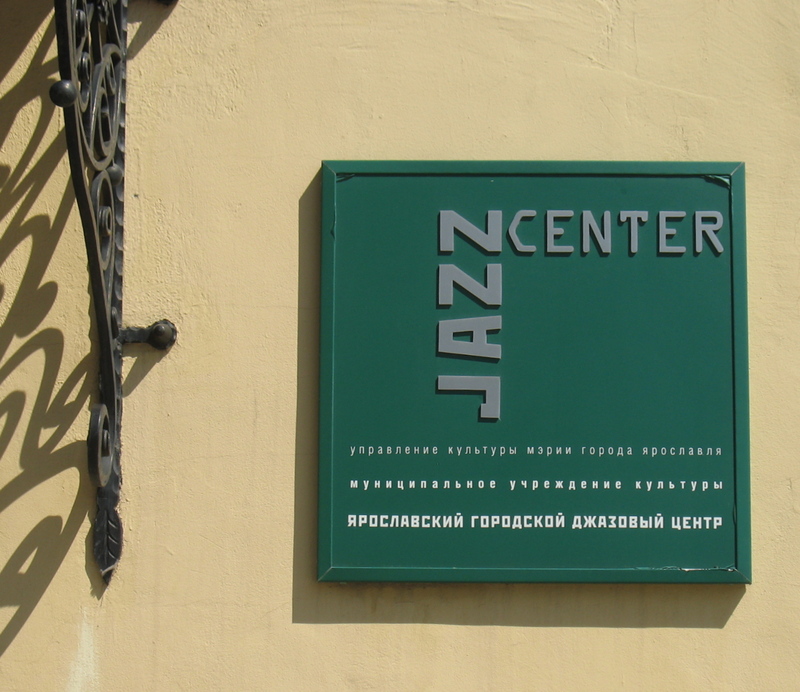 He also showed me a very interesting museum exhibit on the history of Saint Petersburg jazz.